The WolfPack™ 4K/60 HDMI Extender over CAT5 with Loopout HDMI Extender is version HDMI 2.0 and has 1 - HDMI Input, 1 - HDMI Output by an HDMI cable and 1 - HDMI output by a CAT5 cable with the receiver included. It support 4K@60Hz, HDCP2.2 and 3D. 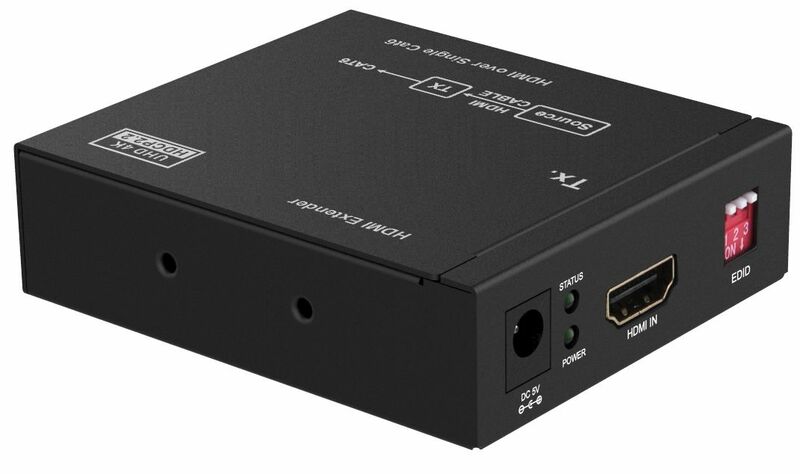 This extender has a range of 147 feet for 4K/60Hz and HDR. Support 4K/60Hz and below video output formats. Why not buy 4K/60 HDMI Extender over CAT5 with Loopout today?